Specs: 2 inches long and 1/16 oz. Comes 2 per pack. Always store separate from other plastics. Perfect for piers, docks, and night time fishing. If you fish under lights, you know that trout and reds love small shrimp gliding around the glow of the lights. For best results we recommend light spinning with 6-8lb test. A crappie rod is perfect. 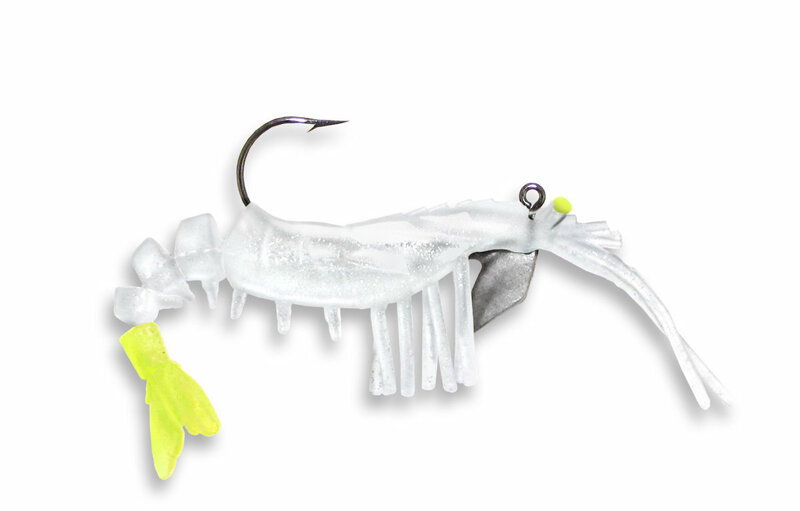 This little Vudu is also deadly on Crappie and panfish.